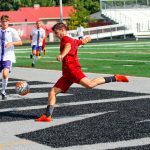 A positive attitude towards this season has pushed the University of Indianapolis men’s soccer team to a good start, according to sophomore forward Javier Steinwascher. The team started off the season with an overall record of 6-2, losing only one game in conference play. 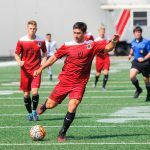 The men took their fifth GLVC win on Sept. 24 to the Bellarmine University Knights in Key Stadium. Sophomore forward James Jenkins scored the only goal of the game seven minutes in. Junior forward Benjamin Sierra recorded the assist on the play, giving Jenkins his fifth goal of the season. On Sept. 22, the Hounds traveled to Evansville, Ind. to battle the University of Southern Indiana Screaming Eagles. The Hounds won the game 2-1 in extra time. The Hounds were first on the board with a goal from Jenkins only 15 minutes in. USI answered back with a goal at the end of the first quarter. Period two remained scoreless which sent the game into overtime. Steinwascher picked up a pass from senior midfielder Josh Ling for the winning goal. 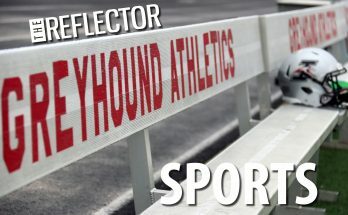 The previous weekend, the Hounds played their first pair of home games against University of Missouri-St. Louis Tritons on Sept. 15 and McKendree University Bearcats on Sept. 17. 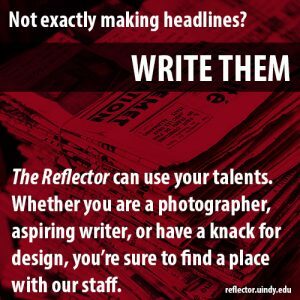 UIndy swept the Bearcats 3-0 despite staying scoreless through the first half, outshooting McKendree 14-0. The first goal came from Steinwascher when he managed to capitalize on a shot during the 64th minute of the match. The second goal once again came from Steinwascher after receiving the assist from Jenkins. Following his assist, Jenkins found the back of the net after a pass from Sierra. Following the game, Steinwascher commented on the discipline of the team and how it was needed for the win. 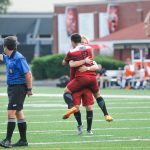 Prior to their win against the Bearcats, UIndy defeated UMSL 3-2 after a game that finished in extra time. Senior back David Kurz scored the first goal for the Hounds in the 23rd minute. The first half finished 1-1 after the Tritons managed to score at the 44 minute mark. UIndy took the lead back after being awarded a penalty kick in the 57th minute that Steinwascher buried in the goal. 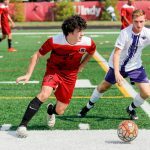 Once again UMSL managed to equalize in the 87th minute forcing the game into extra time. The Greyhounds took the win eight minutes into extra time off a pass from sophomore midfielder Ben Rohder to Sierra who found the net. The team has gone undefeated at home this season. The support of the fans give the team its energy and pushes them to continue pushing throughout the game, according to sophomore back Andrew Dunkin. Next, the team will travel to Kenosha, Wis. to battle the University of Wisconsin Parkside Rangers on Oct. 1. The game is set to start at 12 p.m.